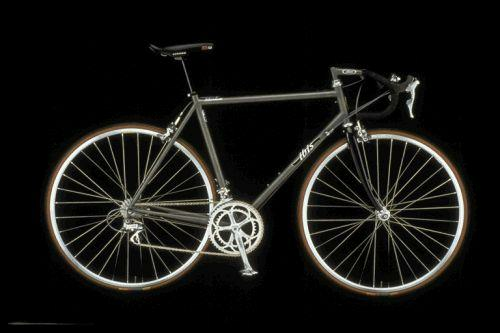 Shimano CN-7700, 1/2 x 3/32"
The bicycle looks new and is in like-new mechanical condition. The frame & fork have no visible or detectable blemishes or damage. All components, parts, and accessories are clean and free of any visible & detectable blemishes or damage. No service is required on any component, part, or accessory. Tires and grips/handlebar tape are original spec and in pristine condition. The bicycle looks good, may have minimal cosmetic (only) blemishes on the frame, fork, components, parts and/or accessories. The bicycle may require minimal service adjustments without the need of replacing any parts. The suspension (if applicable) and braking surfaces are clean with some signs of usage yet free from grooves & pitting. The tires, grips/handlebar tape, and brake pads may show signs of usage yet have a majority of their life remaining. The frame or fork or components or accessories have cosmetic blemishes. The frame (if metal) may have minor, aesthetic dings. Paint is faded slightly and/or slightly discolored and scratched. Bicycle is free of major mechanical issues but may require some service, a tune up is recommended. Some parts may require replacing, not to include front or rear shocks, wheels, shifters, front or rear derailleurs, braking systems, crank set or chainrings. Items that may need to be replaced include: tires, tubes, grips/handlebar tape, brake pads, brake hoods, chain & cassette, brake cables, gear cables, any/all housing, brake fluid and shock oil. Braking surfaces may have minor grooves or discoloration. Suspension and brakes may need to be serviced. The frame or fork or components or accessories have cosmetic blemishes. The frame (if metal) has minor, aesthetic dings. Paint is faded slightly and/or slightly discolored and scratched. The bicycle has some mechanical issues and a tune up is necessary. An overhaul is recommended. Multiple parts need to be replaced. Suspension and brakes need to be serviced. The frame or fork or components or accessories have many cosmetic blemishes. The frame (if metal) has numerous aesthetic dings. Paint is faded slightly and/or slightly discolored and scratched. The bicycle has mechanical issues and a tune up is necessary. An overhaul is recommended. Multiple parts need to be replaced. Suspension and brakes need to be serviced. This bike could also be used for salvage.